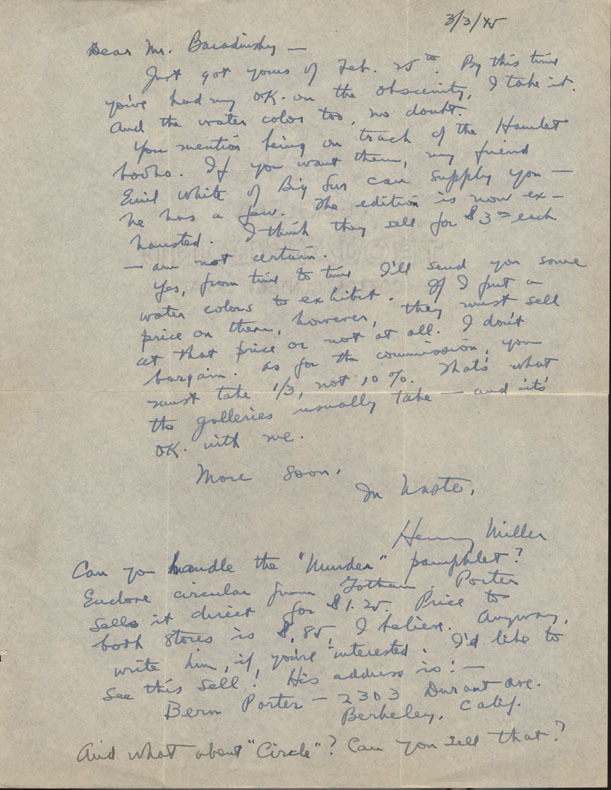 Autograph letter, signed, from Henry Miller to Oscar Baradinsky. 3 March 1945. 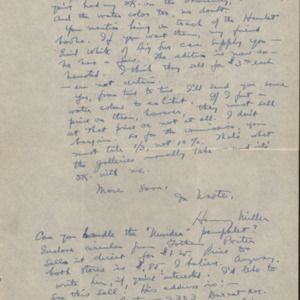 “Miller letter,” University of Virginia Library Online Exhibits, accessed April 25, 2019, https://explore.lib.virginia.edu/items/show/603.